It's estimated a whopping 87% of 16-34 year olds are no longer cooking their meals from scratch, and it's a figure I believe, as personally I favour the easiest ways of cooking available. The same study found that young adults and families aren't resorting to fully prepared ready meals, but are more likely to partake in component cooking. This means buying products like meat already prepared in a sauce that can be put in the oven, or vegetables that can be microwaved as a side dish. So whilst we are opting for ease and speed, we aren't going for full on American style TV Dinners. This insight has helped Henderson Group, which comprises of Spar, Eurospar & Vivo, to develop Meal Inspirations, aiding shoppers who are short on time to still manage to cook a fresh, locally sourced meal. 75% of their fresh food is sourced from Ireland, including brands like Mash Direct and Willowbrook Farm. Those ranges, as well as Spar's own enjoy local and The Kitchen are part of the Meal Inspirations initiative, suggested as ways families can eat fresh, but without huge preparation times. enjoy local includes prepared meats sourced locally, that simply need oven cooked, with fresh sauces included. 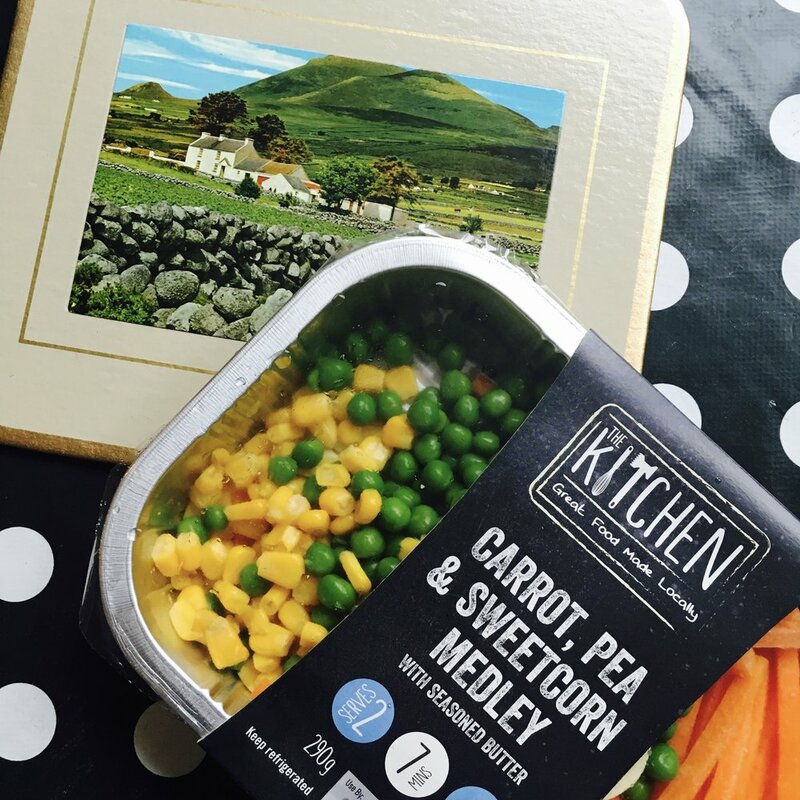 The Kitchen is a Range you often see me singing the praises of on Twitter, I'm a massive fan of their meals and would use at least one product a week. The Kitchen includes meals for one, almost like microwave meals, in fact you do microwave them, but the ingredients are fresh, not frozen. My absolute favourite The Kitchen product is the chicken curry. I would choose that curry over takeaway any day. There are huge chunks of chicken breast, button mushrooms, peas and onions, all fresh, all delicious. I'm probably going to have that for tea tonight now! The Kitchen Range also has a line of desserts, that can be shared between two or three. 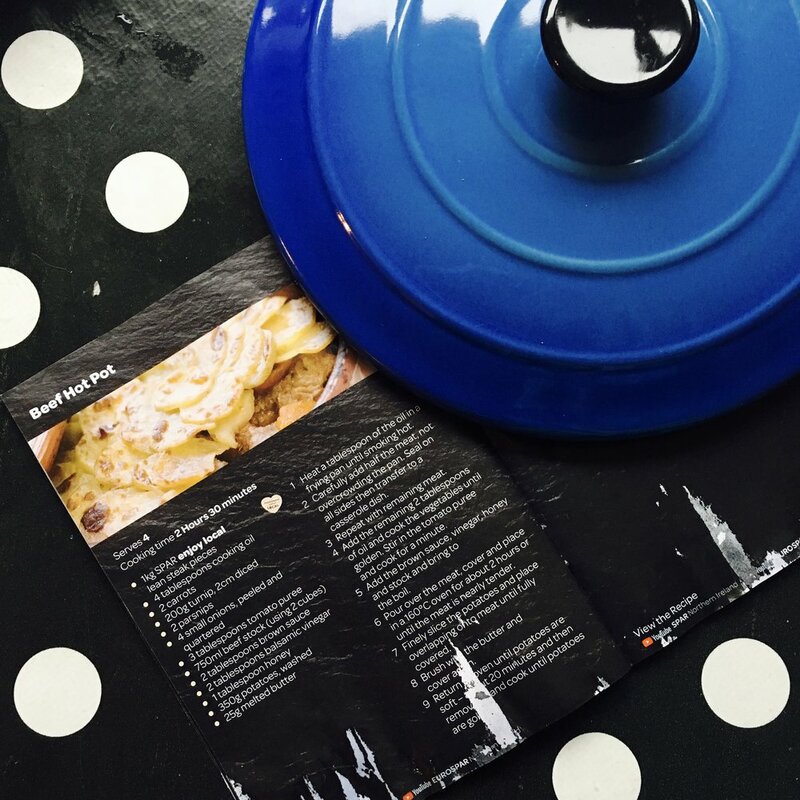 As part of Meal Inspirations you can also pick up this handy little mini recipe book, with quick and easy meals you can whip up using products from Spar, EuroSpar & Vivo. You can also check out their Instagram where they will be posting Tea Times Tables in the coming weeks to further help shoppers decide their Meal Inspirations.